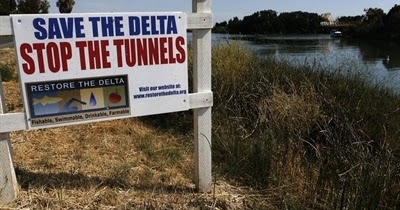 As the economic, scientific and financial justifications for Governor Jerry Brown’s Delta Tunnels Plan continue to collapse, two Delta legislators on Monday, May 9 put yet another potential hurdle in the project’s path. Assemblymember Susan Talamantes Eggman and Senator Lois Wolk said they will request a state audit of the California Water Fix, “the new name for a very old project to divert water from the Sacramento-San Joaquin Delta,” according to a joint statement from the two legislators. 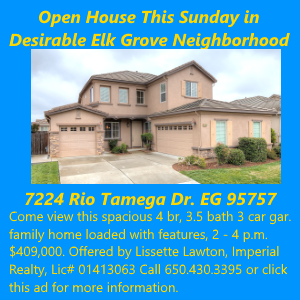 The two giant tunnels under the Delta would divert Sacramento River water to be used by corporate agribusiness interests on the west side of the San Joaquin Valley, Southern California water agencies, and oil companies conducting fracking and extreme oil extraction methods in Kern County. “At a projected cost of $15 billion and climbing, California policy makers should be concerned about the source and accountability for funding for the Delta tunnels project. Currently the proposed Delta tunnels project has no financing plan for its construction, operation or maintenance,” said Wolk, D-Davis, who represents four of the five counties in the Delta. Their announcement followed the release of a detailed Public Records Act request Monday by Restore the Delta (RTD). Restore the Delta also requested an audit of the project, noting a long list of concerns about public spending on the project and its legality, Wolk noted. Citing a lack of state or federal legislative authorization, RTD filed the request under the California Public Records Act to a half dozen public agencies, including the California Department of Water Resources (DWR), seeking details about the funding plan for the proposed Delta Tunnels. The letter targeted officials at Zone 7 Water Agency, Westlands Water District, Metropolitan Water District, Kern County Water Agency, and the Santa Clara Valley Water District, in addition to DWR. The group also seeks assurance that “best practices consistent and compliant with the taxation principles of the California Constitution as amended by Propositions 218 and 26” are being followed. In addition, RTD seeks information regarding how the US Bureau of Reclamation came to finance Delta Tunnels planning for the Westlands Water District. The letter concludes that Restore the Delta will ask the State Auditor and Joint Legislative Audit Committee to investigate the funding plan for the Delta Tunnels proposal. “The agencies promoting the project have been very secretive about how interim project costs have been paid to date and how the project will be paid for in the future. The original concept was a project funded by the beneficiaries, which is important since 70 percent of the water will go to big industrial growers on the west side of the San Joaquin Valley,” she concluded. Leaders of a wide array of fishing groups, conservation organizations, Indian Tribes and environmental justice groups strongly oppose the Delta Tunnels. The Tunnels would hasten the extinction of Central Valley winter-run Chinook salmon, Delta and longfin smelt, green sturgeon and other fish species, as well as imperiling the salmon, steelhead, green sturgeon and Pacific lamprey populations on the Trinity and Klamath rivers.